Showing results for tags 'transmission'. My neighbor has a 3 speed Brown Lippe Aux transmission. I dont have a use for it so I told him I'd see if anyone else does. He wants $500 for it. I have no idea what its worth. It has a 50% underdrive, and a 30% overdrive, Direct and Neutral. Located in Central Washington State. Can anyone tell me what the speed ratio's are on a Mack T2070 transmission for reverse on up. I have a customer changing it to a T2080 and wants to know what the difference is. Thanks for the help please. 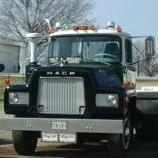 Hey guys, I have a 1984 mack twin stick 6 speed that came out of my dad's RS mack. PTO is till attached. It will need bearings and I believe the bell housing has a crack. Best Offer. Preferences§1234567890-=Backspace Tabqwertyuiop Return capslockasdfghjkl;'\ shift`zxcvbnm,./shift English Deutsch Español Français Italiano Português Русский altalt Preferenceswewe have a 1988 r690 with a 6 speed low hole and a 250 mack motor. not sure what the gear ratio is but its about a 65 mph truck. i was told that you are not supposed to split the gears and that the transmission wouldnt let you regardless. in this truck you can. you can go from low to direct in all of the gears and direct to low without over revving or bogging the engine. ive told people the truck can do this and they didnt believe me and said it shouldnt be able to do that but it does so does that mean i can without damaging anything? 18 Spd Mack not taking gears early when truck is cold "Specially when loaded"
I'm having a hard time shifting into the 2nd position in my trans. I've narrowed it down to the rear section, is it possible to just pull the rear section of the trans or do I need to drop the whole trans? 1960 B61, Customer wants modern trans & rear to acheive normal roadspeeds. Any tips, pointers, ideas or learning experiences to share? This truck belongs to a customer of mine, (he just bought it) he wants to get rid of the "15 speed triplex" and put in a 7 or 9 speed, also this truck has the double reduction rear end. he claims it will not exceed 45mph on the highway. it was in a barn for 17yrs and only has 39,000 miles on the odometer, beleive it or not the truck really does only look like it has 39,000! hope to hear from you all soon. thanks, Allen. I would like to get more road speed and lower my rpm's. I have a '82 R Model with 3.65 rears and a 5 speed transmission. According to the speedometer it is running 62 to 65 at 2000 rpm's. Which transmission could I put in it to get more road speed at lower rpm's. I would like to run 70-75 at 1500 rpm's. Also I need a low hole to start off on a hill loaded 80,000+. I'm asking the experts on this one. Thanks.